If you’ve got odd working hours and no office to accommodate that, make Innov8 in Koramangala your BFF. It’s a co-working space that’s open 24/7. 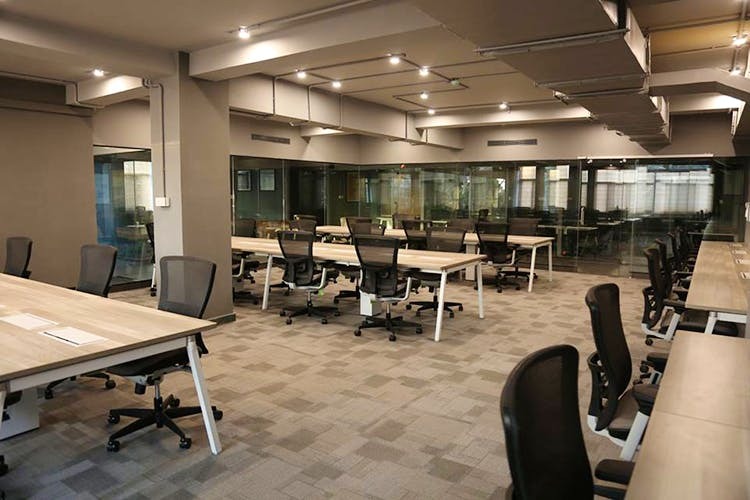 Innov8 is a new co-working space in the heart of Koramangala, opposite Raheja Arcade and close to Forum Mall. Apart from desks, meeting rooms and outside working spaces for you to call your own, they also take care of all the necessities from storage facilities and cloud telephonic system. Plus, amazing and unlimited tea and coffee. Ideal for freelancers, solo entreprenuers, start-up companies which don’t want to invest in an office, or those who have odd work hours, this one is for you. What’s great is that it’s open 24 hours, so no need to be constrained by time. I was of course, lured there by the unlimited coffee, but for this one, what the real winner is location and that they function 24/7. So even when Starbucks thrown you out at 1am, now you know where to go. As most co-working spaces go, this one too is a melting pot of communities. It’s great to network. And hot-desking here means meeting new people practically everyday.